The goal behind this project was to create something that has a captivating yet simplistic beauty to it, while still feeling light and modern. 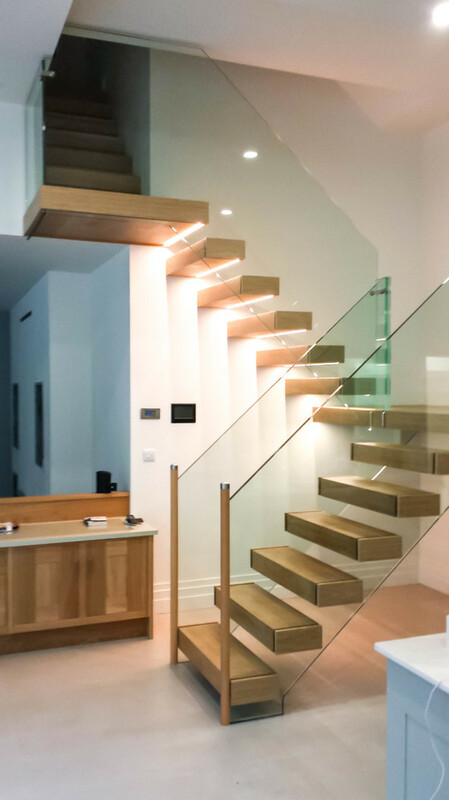 The result was a cantilever staircase with floating oak treads, sandwiched between a frameless, glass balustrade. LED lights under the steps add to the elegant look and also serve as safety light for when it gets dark. Thanks to the floating treads, more light can illuminate the room.